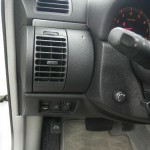 © DenLorsTools.com Summary: There are several things that can cause a bad odor inside the car. Spilled drinks can be an obvious source of a bad smell. Or, remnants of fast-food that has fallen to rest, in the infamous “black hole”. That’s the area between the console and the seat that dropped crumbs seem to be drawn to. 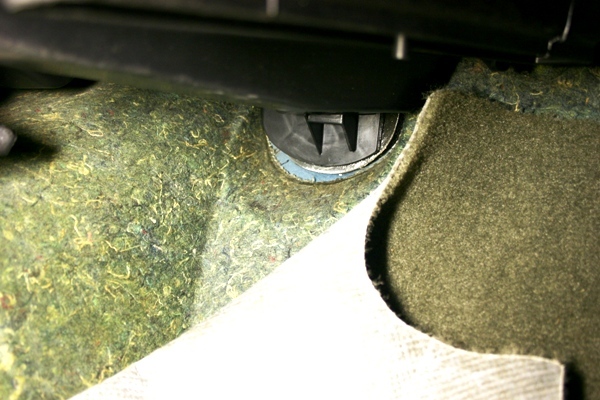 With lack of cleanliness aside, there are less obvious causes of stale odors that come deep, from within the dash. The source we are talking about is mold coming from the AC system. This bacterial growth is smelly and just plain unhealthy. The mere fact that every car has water clinging to the coils of their evaporator, means that every car has the potential to grow mold. 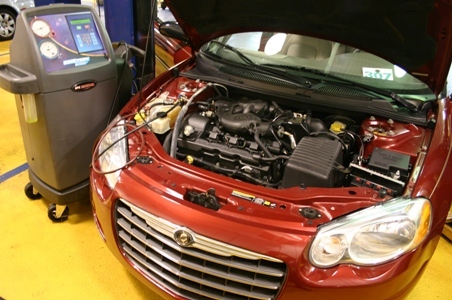 The evaporator core gets wet, because humidity condenses once air touches the exterior of the core as it passes through. The air is cooled but the water is left behind in the cold dark evaporator case. This is where mold grows best. Mold is a living thing that thrives in this type of atmosphere, taking food from the airborne particles that are in constant supply. It’s important to mention that clogged evaporator drains will cause more potential for this problem – see our related AC article for more information. 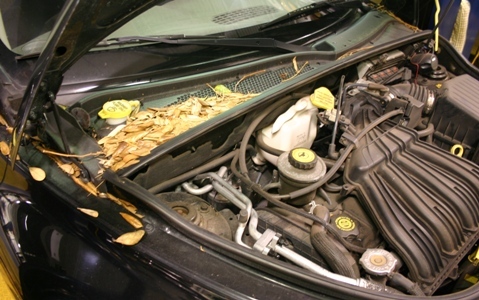 Unlike house AC systems, most cars don’t have air filters and the evaporator is not easily accessible to clean. 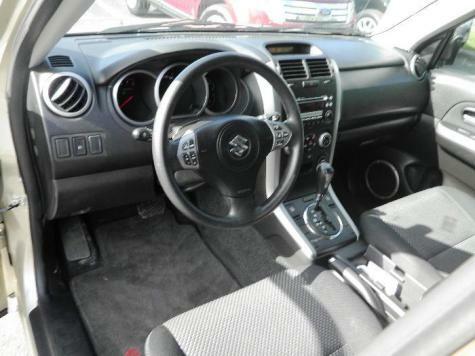 If the car has a cabin air filter it’s a good idea to keep a clean one installed. Reducing airborne particles will not only keep the air flowing properly, it will also decrease the debris that mold needs to survive. An antimicrobial spray like Lysol and other specially formulated sprays made specifically for automotive evaporator applications can also be used. 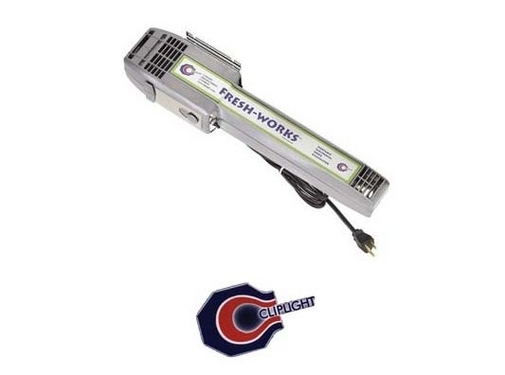 I never considered using an ionizer to eliminate pesky car odors. Thanks for the tip! 1. We had the ac ” cleaned out ” by car wash with ozone. 2. We ran water through the front vents on the base of the windshield with cleaner and flushed out the ac drip holes on the bottom of the car. 3. Got a product from auto zone that has ozone and sprayed it through the front vents. Each thing we have done has helped, but now we have noticed when we use the windshield wipers we get a blast of moldy air. What can we do to fix this problem? You’ve tried what I would have suggested. I would also check the carpet to see if there’s mildew growing underneath. The padding underneath called jute can be a real problem if it’s been wet before. The Carmax I worked at, would remove all the seats, carpet and jute for cleaning and through drying in the sun before re-installing. This is an extreme case though. It’s also possible that the windshield washer fluid has an odor. If so, flush the reservoir and refill with clean fluid. I would also try running the AC on recirculate or max and use Lysol disinfectant on the passenger side underneath the dash. By running the AC on recirculate the air is recirculating in the passenger compartment and not taking fresh air in from the outside around the cowl area. 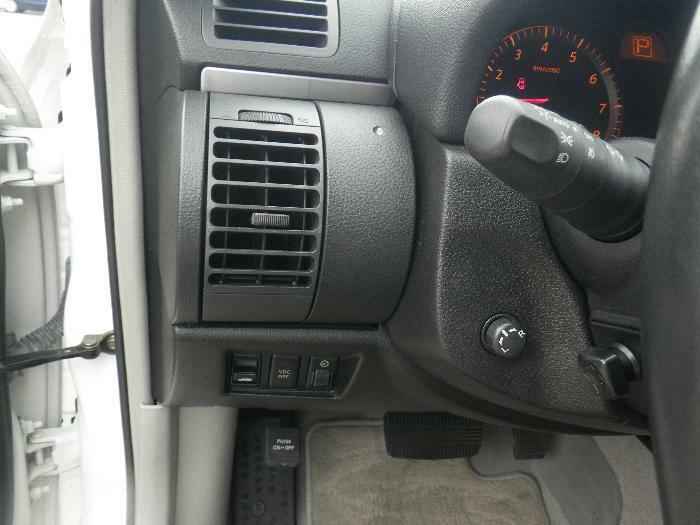 The air return is under the dash on the passenger side, so that’s where to spray the Lysol.